Thrive on healing foods. Reconnect to nature. Practice yoga and meditate. Be thrilled by eco-tours. Find inspiration....and stillness. Deepen your soul connection. Return home with a renewed sense of well-being and purpose. Whether you visit during our regular or retreat seasons, a healthy vacation awaits you. You have the choice to join 1) an All-Inclusive Retreat - weeklong intensives offered every January to April. We host the world’s finest Yoga instructors and health experts. Or 2) plan your own Personal Vacation. Every June to December, we offer all of our hotel, guest & health services. Fill out a booking form & we can tell you what dates & rooms are available. A charming and private bungalow perched overlooking a lush green valley. This room has a queen bed, private indoor bathroom and balcony. Ideal for a single guest or the romantic getaway. Toucan and Macaw are side-by-side bunk rooms that can each accommodate up to 4-people. Each room has a private bathroom and balcony. 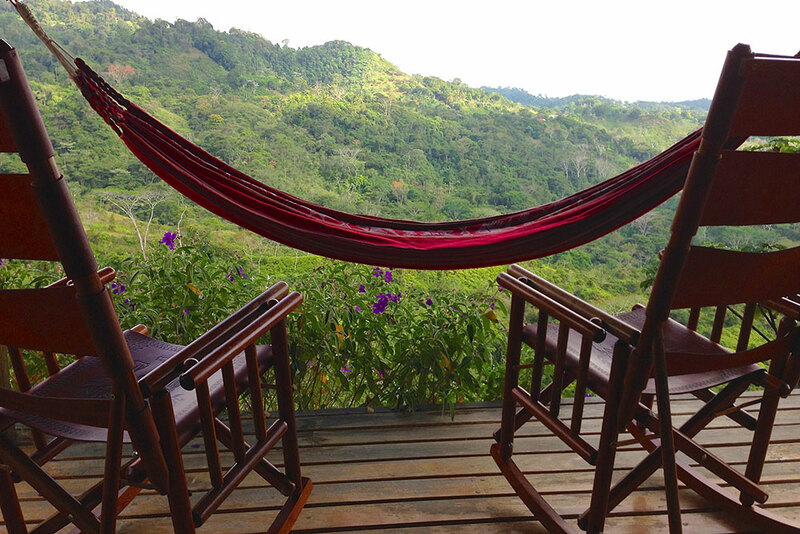 Swing in your hammocks while overlooking a lush, green valley. This hotel encourages thoughtful, healthy meals. We feature a vegetarian, communal kitchen where you prepare your own meals using fresh organic fruits & vegetables that we provide. Pick your fruit from the orchards & your salad from the greenhouse. We serve a nourishing green juice each morning. Opt for dinner specials prepared by our talented Chef at an additional cost. Immerse yourself in nature’s bounty. We take guests on eco-tours to mesmerizing pristine beaches on the warm waters of the Pacific Ocean, on lush jungle hikes where you may spot monkeys or sloths, and to the best waterfalls this country has to offer. Plunge into these revitalizing waters and let your body and spirit be cleansed. Our services include yoga, qigong, ecstatic dance, meditation, health coaching, sound healing, food demo’s, massage, colonics and more. Offerings are led by our fabulous team, each of us sharing our talents from the heart. We offer complimentary healing modalities too, teach energy medicine and connect guests with local shamans. There is a lot happening here and all for an affordable price. Farm of Life is the most affordable health retreat of our knowing, and for good reason – our rates are economically feasible so that anyone can learn and heal. We extend discounts for long-term visits because we honor your commitment to heal. Our communal kitchen concept keeps it economical for those on a budget. We genuinely accommodate your needs for a life-changing experience at an affordable rate. We work with several Shamans in our village and arrange for our guests to attend the Ayahuasca ceremonies that are offered locally. While schedules are not posted in advance, ceremonies are typically available on solstices, equinoxes, for New Years and seasonally. We also work with Huachuma cactus medicine, we host cacao ceremonies and we offer the Into the Light Plant Medicine Retreats. Our beautiful, peaceful and remote location is the perfect backdrop for your journey to wellness. At an elevation of 2,000 feet, the hotel sits top a lush green valley with outstanding views of the Pacific Ocean, pleasant temperatures and cool breezes. 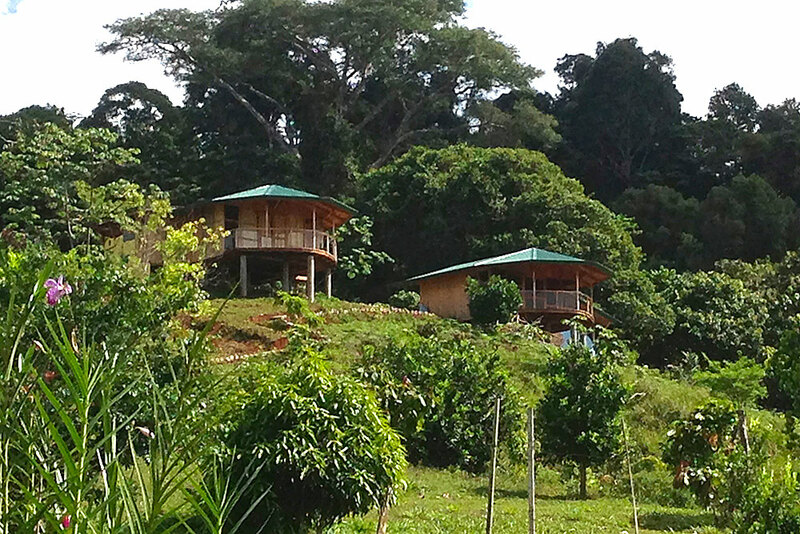 We are an organic farm situated on 37 pristine acres of fruit orchards, permaculture gardens, and old-growth forest. 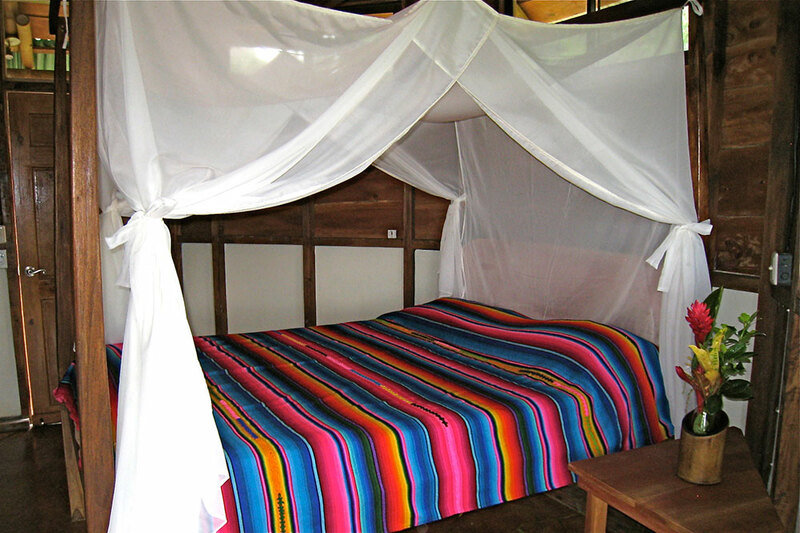 The hotel is located in the South Pacific zone of Costa Rica, 45-minutes from Dominical Beach and San Isidro. Are you seeking inspiration? Do you wonder if this is for you? Do you wonder what it is like to be a guest here? Let our alumni motivate you. Our Farm of Life Family Channel on You Tube brings you countless interviews with prior guests, sharing about their experience, journeys, transformations and healings. Farm of Life is a smoke-meat-alcohol-free environment.